Chief U.S. District Court Judge Lee H. Rosenthal on Friday offered initial support for new bail rules proposed by Harris County, signaling the three-year lawsuit challenging the county’s cash bond system soon may reach its conclusion. The settlement of the case, which Harris County has spent more than $9 million defending, would seal victory for the poor misdemeanor defendants who brought the suit and allow Rosenthal and both legal teams to turn their attention to a similar lawsuit challenging the county’s felony bail system. For the first time in a federal court hearing, all the parties in the misdemeanor suit stood in agreement Friday afternoon about how the case should be settled. In an unusual scene in Rosenthal’s 11th-floor courtroom, the attorneys in the once-contentious case urged Rosenthal to sign off on new bail rules proposed by the newly elected slate of Democratic misdemeanor judges. Rosenthal, who in 2017 agreed Harris County’s bail system was unfair to poor defendants, suggested waiting to see how well the new bail rules work in practice before issuing her approval. With the opening of the new joint processing center for inmates, the judge said minor, unforeseen problems may need to be addressed. “The devil, in the broader issues, is in the day-to-day,” Rosenthal said. She ordered the parties to return March 8. Allan Van Fleet, the attorney representing the misdemeanor judges, agreed that the revised bail system will require each part of Harris County’s criminal justice apparatus to cooperate. “The judges are committed, with the sheriff, the DA, the plaintiffs, that we’re going to work together to get the best system that anybody can come with,” Van Fleet said. See here for the previous update. We’re headed in the right direction, and we know where we’re going. It’s a new day. This one will be tougher to tackle, but the principle remains the same. A hard-fought battle to reform Harris County’s bail system has prompted a second civil rights action. The legal team that successfully challenged the county’s bail practices for low level offenses on the grounds they unfairly detained indigents, filed a new federal class action suit this week tackling money bail for felonies, which results in thousands of poor defendants being locked up before trial or entering guilty pleas to avoid lengthy incarceration. This new lawsuit, which hit the docket during the Martin Luther King Jr. Day holiday, claims the county is holding people unjustly, simply because they cannot afford to pay a cash bail. Currently, people arrested who can post a cash bond or hire a commercial bonding company can simply resume their lives as their cases proceed through the criminal docket. The lawyers argue that pretrial release should not be contingent on how much money a person has. Its one of a number of lawsuits around the country, including one before a district judge in Galveston, attempting to topple bail systems that treat people differently based on their income. The lawsuit noted there are human costs to keeping people in jail. Since 2009, the complaint stated, 125 people have died while awaiting trial in the county lockup, including a woman who committed suicide this month after she could not pay her original bail of $3,000. Most of the key stakeholders struck a similar note in responding to the new lawsuit. County Judge Lina Hidalgo said the county aims to support public safety, fairness and a cost-effective, fiscally responsible system. She acknowledged that there’s a long way to go. “We’ve got a system that in a way fails on all three fronts,” she said Tuesday. Hidalgo said the crop of newly elected officials seem dedicated to enacting these types of change. Of the three plaintiffs in this lawsuit, two were busted for drug possession and the other for DUI. There’s still a lot of non-violent inmates in the jail awaiting disposition of their case because they couldn’t scrape up a bond payment. As with misdemeanants, the ability to write a check to a bail bond agency has no correlation with whether you will show up for your court date or if you are likely to commit further crimes while out. Again, Robert Durst was out on bail. It makes sense to separate the genuine risks from the harmless shlubs. Will such a system be perfect? No, of course not. Some people who get out on a personal recognizance bond are going to turn out to have been bad risks. But again – I can’t say this often enough – people do that right now, under the current system. We just accept it as the way things are. Well, the way things are is capricious, unjust, and almost certainly unconstitutional, as the system for misdemeanors was as well. We’ll never have a better chance to design a better system. Let’s get to it. A lawsuit alleging that Galveston County’s cash bail system favors wealthier defendants will continue after a recent ruling by a U.S. district court judge. On Jan. 10, Judge George Hanks Jr. upheld Magistrate Judge Andrew Edison’s denial of the county’s motion to dismiss the lawsuit. The ACLU of Texas and the Arnold & Porter law firm filed the suit in April 2018 on behalf of Aaron Booth, 37, of Galveston, who was arrested on felony drug possession charges but couldn’t afford to post his $20,000 bail — the minimum permitted under the county’s bail schedule for that charge. The suit accuses county officials, including local judges and magistrates as well as District Attorney Jack Roady, of operating an arbitrary, two-tiered system of justice based on wealth, in violation of the constitutional right to counsel, the right to due process and equal protection under the law. In addition to keeping the suit alive, Hanks agreed that the ACLU sufficiently argued that under the Constitution’s 6th Amendment, Booth and all defendants are guaranteed a right to counsel at any bail hearing. Hanks also agreed that Roady, who controls the county’s bail schedule, was liable for his role in perpetuating a wealth-based detention system. Magistrate Edison had ruled that magistrate judges “always strictly adhere” to the bail amounts recommended by Roady. A preliminary injunction hearing scheduled for Tuesday will give the ACLU the opportunity to present evidence that Galveston County has not done enough to reform its bail system. Galveston County Judge Mark Henry said he hoped Tuesday’s hearing would be the “end or beginning of the end” to the lawsuit. Henry said the litigation has hindered the county’s bail reform efforts, and said he was pleased to see individual magistrate judges and district judges dismissed as defendants. See here for the background. It should be clear to everyone where this is going, given the rulings in the Harris County case. One presumes it’s just a matter of how long it takes to get there. Elections have consequences, and thank goodness for it. Less than a week after the new jurists were sworn into office, Harris County’s misdemeanor judges on Monday withdrew their appeal in the landmark lawsuit over local bail practices that a federal judge said unfairly targeted poor people accused of crimes. The historic litigation began in 2016, when attorneys and civil rights groups sued the county on behalf of defendants jailed for days because they couldn’t afford bond on low-level offenses. Though Chief U.S. District Judge Lee H. Rosenthal said the practice was unconstitutional and amounted to wealth-based detention, so far the county has spent more than $9 million in legal fees to fight the case, according to Harris County Precinct 1 Commissioner Rodney Ellis. But many saw the Democratic wave in November’s elections as a sign of change ahead – and Monday’s court filings look to be one of the first indicators of that shift. “It’s going to be a new day,” Neal Manne, attorney for the plaintiffs, said in November just after the ballot-box sweep. And now, according to Judge Darrell Jordan – the one misdemeanor judge who did not lose his bench in the last election – the parties have already begun hashing out a settlement they hope to have in place in the next few weeks. “Our goal is have this accomplished by February 1, 2019,” Jordan told the Houston Chronicle. One of a series of documents filed in recent days, the two-page motion simply lists the names of the new judges – who automatically replaced their predecessors as defendants in the suit – and asks that the case be dismissed. The court granted the motion and dismissed the appeal by mid-day. Mike Fields, the one outgoing judge who supported the lawsuit, lauded the move as a “great first step” toward reform. Meanwhile, the Harris County Attorney’s Office issued a statement expressing confidence in the possibility of a settlement. The next hearing, in Rosenthal’s court, is slated for Feb. 1. Out-fricking-standing. The new judges are now represented by a pro bono attorney, instead of the high-priced guy that had been arguing the case in court. What this means is that the injunction will remain in place while the settlement is hashed out, with no further briefs or arguments or whatever else before the Fifth Circuit. (The last update I had on this was from August; I don’t think there was any other business on the agenda, but if there was it’s now moot.) Perhaps once we get this settlement in place we can stop outsourcing inmates once and for all. Now we need the city of Houston to get its act together and follow the county’s lead. Bottom line is that this, as much as anything, is what I wanted from the 2018 election. Well done, y’all. We have a precedent, even if everything is still a work in progress. Taking a cue from the rulings on Harris County’s bail-setting practices, a U.S. district judge in Dallas issued a temporary order Thursday evening saying the county’s post-arrest procedures routinely violate inmates’ constitutional rights. The judge gave the county 30 days to change its ways. “Broadly, those procedures include ‘notice, an opportunity to be heard and submit evidence within 48 hours of arrest, and a reasoned decision by an impartial decision-maker,’ he wrote, quoting the higher court’s ruling. See here for some background, and here for an earlier story on how bail hearings have been done in Dallas. You know where I stand on this, and we both know that Dallas County has Democratic leadership, and thus I hope more than enough incentive to find a settlement. Some long overdue change is coming, and it is in everyone’s best interests to embrace it. The Chron and the Observer have more. Houston city officials intentionally destroyed evidence, wiping crucial data from the computer drives of top police commanders that is potentially relevant to a lawsuit about the detention of suspects beyond the 48-hour deadline for a magistrate hearing, a federal judge has ruled. U.S. District Judge Kenneth M. Hoyt’s rare ruling last week means that if the case goes to trial, jurors will receive an “adverse instruction” about the records destruction. The jury must infer as fact that authorities destroyed evidence, knowingly and routinely detained people more than 48 hours without a probable cause hearing, and acted with deliberate indifference to the fact that they were violating defendants’ constitutional rights, the judge ruled. The judge did not accuse the city of destroying evidence specifically to help it gain an advantage in the lawsuit, but the action is a blow to any defense the city could mount. The 2016 class-action lawsuit challenged the city’s treatment of thousands of people jailed for days after warrantless arrests between January 2014 and December 2016. The complaint accuses officials of false imprisonment and alleges that they violated defendants’ constitutional rights to equal protection and a determination of probable cause by a judge. The case was brought by Civil Rights Corps and the Texas Fair Defense Project — the groups that led the landmark suit challenging Harris County’s bail practices — and lawyers from the Houston firm Kirkland & Ellis LLP. The suit was filed after the January 2016 arrests of Juan Hernandez, who was held 49 hours before seeing a magistrate on an assault charge, and James Dossett, who spent 59 hours in custody before facing a hearing officer via videolink on a charge of possession of a controlled substance. After a week in custody, Hernandez pleaded guilty. Authorities ultimately dropped the charges against Dossett when police failed to prove he had drugs. The lawsuit also cites arrests in which defendants were held for more than 10 days before receiving a probable cause hearing. Overcrowding at the county jail creates a bottleneck at the city facility, the suit said. The plaintiffs’ lawyers argued that the city had a “broad, longstanding, and consistent policy of refusing to release warrantless arrestees” even when more than 48 hours had passed since their arrests, and that the city failed to provide thousands of records relevant to this policy and practice. See here for some background, and here for an earlier Chron story (embedded in this one and the basis of that post) on the subject. I’m appalled by what’s in this story, which I don’t think can be adequately explained by simple incompetence on the city’s part. There needs to be a serious investigation of who was responsible for what, and consequences to follow. This is unacceptable at every level. The city needs to throw itself on the mercy of the court and make an extremely generous settlement offer to the defendants. Here comes the Fifth Circuit again. A majority opinion by Circuit Judge Jerry E. Smith halted part of an order by Chief U.S. District Judge Lee H. Rosenthal which compelled certain defendants to be released immediately on no-cost bail in cases where a person with the money, arrested on the same charge, would be immediately released. Defendants must have an individualized bail determination made by a judge within 48 hours, the ruling says. The newest member of the appeals court, a Trump appointee, Judge Kyle Duncan, concurred with his holding. In a dissenting opinion, Circuit Judge James E. Graves Jr. wrote that Rosenthal’s order corrects an inequity that is protected by the constitution. “However thorough and fair it may be, an individualized hearing 48 hours after arrest cannot ‘fix’ the deprivation of liberty and equal protection suffered by an indigent misdemeanor arrestee who is automatically detained prior to that hearing ‘solely because [she is] too poor to pay’ a preset amount of secured money bail,” Graves wrote. The majority wrote that Rosenthal’s orders were too expansive, straying from their earlier instructions to “narrowly tailor” her 2017 injunction to address certain deficiencies that were placing pressure on judges to move too quickly. Judges that the 14 judges who questioned this portion of Rosenthal’s ruling were likely to win on the merits, the ruling says. See here for the background. I disagree with the Fifth Circuit’s ruling here, but again this is about the injunction, not the merits of the case. This is about how these courts will operate until a ruling on the merits is made or a settlement is reached. Or, you know, until we elect some better judges in November. Never forget that part. KUHF has more. We so need to be done with this. More than a dozen Harris County misdemeanor judges contend that public safety would be imperiled if they followed an “untenable” new pretrial release order by a Houston federal judge who has found the current county bail system unconstitutional. An appellate lawyer representing 14 county court-at-law judges, all who are Republicans, argued before an appeals court in Houston Tuesday that Chief U.S. District Judge Lee H. Rosenthal’s revised instructions overstepped the narrow directions she was given in June by the federal appeals court to fine tune elements of her initial order. The revision afforded liberties that the appeals court did not mandate, allowing people arrested on certain offenses be released as promptly as those who are able to secure money bail, the judges’ lawyer argued. “Since the Magna Carta money bail has been seen as sufficient surety and wealth is an inevitable factor…when that surety is money bail,” said Charles Cooper, a Washington D.C. lawyer representing the judges. Many of the judges won’t be on the bench much longer to oversee the new bail policies, since seven are not seeking re-election this fall. An attorney for the indigent defendants argued that Rosenthal’s order did not stray from the U.S. Fifth Circuit Court of Appeals instructions, nor does it create “irreparable harm” for the courts and the public. The courts can impose “unaffordable bail” if they can justify it, he said. “A period of ‘wealth based detention’ is OK, but you have to show that you’re serving some interest,” said Alec Karakatsanis, who represents the indigent defendants in the class action suit. See here for the most recent update. Just a reminder, this is all about the initial injunction. The case itself has not been heard, just the request for a restraining order, which is what is being appealed. Also as a reminder, we can ensure that there are no future plaintiffs for this lawsuit in November. You know, in case you needed another reason to vote. A three-judge panel will rule on this request, and we’ll see where we go from there. The federal judge in a landmark bail lawsuit against Harris County set new ground rules for law enforcement and judges about pretrial release for thousands of low-income people arrested on low-level offenses in a revised injunction issued Friday. The order prohibits the county from detaining a poor person in instances in which a person with money would be allowed to pay and get out of jail. Specifically, qualified poor people charged with certain offenses, such as drunken driving or writing bad checks, will be permitted to leave jail immediately and return for future appearances. However, the finding also gives judges two days to make a bail determination for people arrested on more serious offenses or who face holds or detainers that would prevent them from being released. The county will have another chance to argue the full case when the 2016 lawsuit goes to trial on the merits on Dec. 3, however, county officials could opt to settle the case, something both sides have indicated they would like to do. In two years litigating the case, the county has hired dozens of lawyers at a cost of $6.7 million. 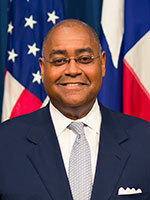 “The county remains committed to a settlement that maximizes the number of misdemeanor detainees who are eligible for prompt release from jail without secured bail, that provides due regard for the rights of victims and protection of the community and preserves the independence of the judiciary,” said Robert Soard, first assistant to Harris County Attorney Vince Ryan. See here and here for the background. It’s hard to remember because this has gone on for so long, but the entire fight so far has been about the preliminary injunction, which is what is being finalized here. This is the order to define what the county can and can’t do while the lawsuit proceeds. Litigating the case on the merits could take years more, and cost many more millions. So if the county really does see this order as a good foundation for a settlement, we should all be glad to hear it. Of course, that is mostly up to the misdemeanor court judges, who are the defendants and who have refused to budge throughout. Perhaps Commissioners Court can put some pressure on them, though outside of Commissioner Ellis they’ve been part of the problem, too. If you truly want to see this come to a just and cost-effective end, the answer is to vote those judges out in November. Ultimately, we get to decide. Grits has more. Getting close to the end. The federal judge presiding over the landmark bail lawsuit against Harris County said she planned to issue revised instructions within two weeks for how pretrial release should operate for thousands of poor people arrested on low-level offenses. Chief U.S. District Judge Lee H. Rosenthal fielded input Thursday from attorneys on both sides of the contentious two-year dispute about which defendants should be held in custody and which ones released during the first two days following an arrest. The attorneys for the indigent defendants asked Rosenthal to consider ordering the immediate release of poor people arrested on certain offenses like drunk driving or writing bad checks if people with the means to pay bond were being released immediately on the same charges. Lawyers for Harris County, and the hearing officers and county court at law judges who oppose the lawsuit, requested that Rosenthal follow the appeals court instructions to allow up to 48 hours for indigent defendants to appear before a judge who can make an appropriate determination about bail. Judge Rosenthal had issued final instructions earlier in June, so I presume this is a modification of that. It’s my hope that the next development in this case will a ruling that satisfies the plaintiffs and that the defense accepts. We really do need to end this litigation, and there’s not much of an argument left for the county to make. Regardless, it’s still a good idea to vote out the judges that made us go through all this in November. A political resolution on top of a legal one would really make the difference. We may finally be nearing a conclusion in this matter. A year after a landmark ruling that upended Harris County’s bail system, a federal appeals court Friday issued final instructions for a Houston judge to craft a revised plan for releasing poor people who qualify after arrests for low-level offenses. Lawyers on both sides of the contentious two-year lawsuit hailed the ruling Friday as a victory, and the county said it offered a solid template for a final settlement. Chief U.S. District Judge Lee H. Rosenthal, who issued an injunction last year halting longstanding bail practices, set a new hearing June 14 for both sides to begin hammering out a detailed plan. A New Orleans appeals court Friday rejected the county’s requests to halt or alter portions of the historic 2017 ruling in which Rosenthal found the county’s bail process violated constitutional rights to equal protection and due process, subjecting poor people to what termed “wealth-based detention.” The 5th U.S. Circuit Court of Appeals handed the case back to Rosenthal to begin implementing adjustments to her order addressing the release of misdemeanor defendants who don’t have holds or detainers. But the court denied several requests from the county for immediate changes to Rosenthal’s order. Neal Manne, one of the attorneys for the indigent defendants, said he was delighted the court amended its ruling the way his legal team requested. “We went 3-for-3 today, which is usually done only by Jose Altuve,” he said. See here for the background. All I can say is that if everyone feels like they won in this ruling, then everyone should feel like they’re in a good position to negotiate a final agreement, and that maybe there aren’t that many points of disagreement left to dicker over. Perhaps we’ll find out on June 14. It is long past time for this matter to be resolved, and for a better and more just system to be implemented. The ACLU of Texas, the ACLU and Arnold & Porter filed a federal class-action lawsuit today against Galveston County, Texas, for violating the constitutional rights of people arrested for misdemeanors and felonies. The lawsuit was brought against the County itself, as well as each of the County’s judges who hear felonies and misdemeanors, the County magistrates, and the District Attorney. This is the first filing by the ACLU to include the District Attorney as a defendant in bail reform litigation. It seeks an immediate and permanent change to an unconstitutional cash bail system that discriminates against people who are financially strapped. Those who cannot afford to pay money bail amounts determined by the county’s bail schedule are detained for a week or longer, while those who face the same charges but can afford to pay the money bail amounts are freed until trial. Galveston County’s district attorneys are involved in setting bail amounts for felony charges, often recommending bail amounts even higher than what the bail schedule suggests. The lawsuit argues that Galveston County’s system of money bail violates the Constitution because it keeps people in jail if they can’t afford bail, while allowing those who can pay to go home to their families, jobs, and communities. With each day in jail, the person’s chances for a fair trial diminish as evidence and witnesses disappear, and many who are innocent nonetheless plead guilty simply to end the ordeal. The suit, filed on behalf of one plaintiff representing a class in U.S. District Court for the Southern District of Texas, accuses county officials of operating a two-tiered system of justice based on wealth, in violation of the right to counsel, the right to due process, and equal protection under the law. The plaintiff Aaron Booth, age 36, was arrested on April 8 for drug possession. He cannot afford the $20,000 money bail required by the court’s bail schedule. Mr. Booth fears losing his job because he is in jail; a job he needs to help his mother afford her monthly expenses. Galveston’s system of wealth-based detention is arbitrary, the lawsuit argues. Each offense has an assigned dollar amount. If a person can arrange to pay the full amount to the sheriff in cash or property, or can arrange for payment through a bail bond company or another third party, the sheriff releases that person automatically. Those who cannot pay the pre-determined bail amount must remain in jail indefinitely. The lawsuit against Galveston County is a continuation of efforts from the ACLU Campaign for Smart Justice to end wealth-based bail detention in Texas and across the nation. This January, a related lawsuit aimed at ending Dallas County’s disciriminatory, wealth based bail practices was filed by the ACLU of Texas, the American Civil Liberties Union, Civil Rights Corps and the Texas Fair Defense Project. The ACLU Campaign for Smart Justice — an unprecedented effort to reduce the U.S. jail and prison population by 50 percent and to combat racial disparities in the criminal justice system — is focused on bolstering the movement to end money bail and eliminate wealth-based pretrial detention through legislative advocacy, voter education, and litigation. Thirty-seven ACLU state affiliates are spearheading efforts to end this unjust system. The complaint can be found here. The Chron adds a few details. The Galveston County Commissioner’s Court issued a resolution in September supporting an immediate end to pretrial detention for misdemeanor and state jail cell arrests and committing a minimum of $2 million to those efforts. The county also voted in December to approve a contract with the Council of State Governments to help implement reforms to the county’s jail system. But Trigilio said that the county has not committed to large-scale changes to its bail system in an appropriate timeframe. The ACLU drafted a standing order proposal outlining steps that needed to be taken to create a model pretrial system and requesting that the county come up with its own detailed plan. Their requests were ignored, with only one judge, Lonnie Cox of the 56th District Court, reviewing the standing order in November. Galveston County Judge Mark Henry said on Monday that he had not had a chance to look at the lawsuit yet but that the county has been working with the ACLU “for nine months or so” to implement their suggested reforms to the bail system. “We are certainly trying, yes,” he said, adding that he had not yet seen the suit but that the county was “absolutely committed” to making the changes already discussed. Those of us in Harris County can relate to that complaint. You know where I stand on this, so let me just say that I hope other counties are looking at their own practices and taking proactive steps to get in line so they don’t have to be sued as well. But if suing them is what it takes, then so be it. Think Progress and KUHF have more. The 26-page opinion by Judge Edith Brown Clement affirms the majority of Chief U.S. District Judge Lee H. Rosenthal’s landmark ruling, including her finding that the county’s bail policies violated the due process and equal protection clauses of the U.S. Constitution. However, Clement and fellow judges Edward C. Prado and Catarina Haynes disagreed with Rosenthal’s analysis on three matters and sent the case back for her to reconsider those elements. They concluded Rosenthal was overly broad in her analysis of the due process violation and in extending no-cash bail to all indigent defendants. They found her demand that qualified defendants be released within 24 hours was “too onerous,” opting instead for a 48-hour window. They also ordered Rosenthal to fine tune how officials assess a defendant’s ability to pay bond. Attorney Neal Manne, whose firm, Susman Godfrey, joined in filing the lawsuit, praised the decision. “I am absolutely thrilled by the ruling, which is a huge and historic victory for our clients,” he said. The appeals judges found that the county had acted mechanically in reviewing bond decisions, failing to take the time to consider economic factors. The ruling summarized Rosenthal’s equal protection findings by imagining the outcomes for two hypothetical misdemeanor defendants, identical in every way — facing the same charge, from the same criminal backgrounds, living in the same circumstances — except that one was wealthy and the other indigent. While the wealthy arrestee was less likely to plead guilty and get a shorter sentence or be acquitted, and less likely to pay the social costs of incarceration, it found, the poor arrestee, “must bear the brunt of all of these, simply because he has less money than his wealthy counterpart,” they wrote. See here for the previous update, and here for a copy of the ruling. This was basically how I read it based on the coverage of the arguments. I agree with attorney Manne and Commissioner Ellis that this is a great ruling, and that it’s way past time to settle this effing thing. But the ruling wasn’t a total win for the plaintiffs. The appellate court still said Rosenthal’s ruling was “overbroad” and asked her to narrow some of the orders against the county. Perhaps of most significance, the appellate court pushed back on Rosenthal’s order for the sheriff to release at no cost all misdemeanor defendants who claim they can’t afford their bond within 24 hours of arrest, regardless of whether they’ve had their bail reviewed or set at a higher cost. The appellate judges appeared suspicious about Rosenthal’s time limit in their hearing and said Wednesday that it was too strict. In sending the case back to Rosenthal for a modified ruling, the higher court suggested an injunction that demands that poor defendants who claim they can’t afford their bail be entitled to a hearing within 48 hours of arrest where they can argue for a lower or no-cost bond. If a judicial officer declines to lower the bond at this hearing, he or she would have to put the reason for their decision in writing, and the arrestee would then get a formal bail review hearing before a judge. If, after those 48 hours, there are no records showing an individualized bail review process took place, the sheriff could release the defendant at no cost. ‘The 48-hour requirement is intended to address the endemic problem of misdemeanor arrestees being detained until case disposition and pleading guilty to secure faster release from pretrial detention,” Clement wrote. I’m fine with that, and I expect the plaintiffs will be as well. Mark Bennett sums it up. Indeed. I really hope this time they listen. Bring it on, I say. On the heels of a federal ruling slamming Harris County for its bail practices, civil rights lawyers have now set their sights on a county with a similar system: Dallas. Six indigent misdemeanor and felony defendants arrested this week and held in the Dallas County Jail filed suit against the county on Sunday night, claiming the bail system unconstitutionally discriminates against them by holding them in jail for days or weeks while letting similar defendants with cash walk free. One plaintiff, Shannon Daves, is a 47-year-old homeless and jobless transgender woman arrested on a misdemeanor theft charge. She has been kept in solitary confinement in the men’s unit since Wednesday under a $500 misdemeanor bond she can’t afford, the lawsuit claims. “This system is really devastating for the people who can’t afford to purchase their freedom,” said Trisha Trigilio, a senior attorney at the ACLU of Texas, one of the legal groups representing the inmates. Lawyers with the Civil Rights Corps and the Texas Fair Defense Project are also leading the lawsuits in both Dallas and Harris counties. In Dallas County, the plaintiffs state that judicial magistrates set money bail based on the alleged crime and prior convictions without considering an inmate’s ability to pay or determining if non-monetary conditions of release, like an ankle monitor or cab fare voucher, could ensure the defendant shows up to court. Texas law requires officials to consider financial ability when setting bail. Instead, poor inmates who have yet to be convicted usually stay in jail because they can’t afford the bail, sometimes causing them to lose their jobs or housing, the lawsuit said. The lawsuit also argues that the threat of lengthy jail stays while awaiting trial encourages defendants to plead guilty. Dallas County Judge Clay Jenkins said Sunday that he wouldn’t comment on a pending lawsuit, but said the county is working to improve the system. “I support bail reform because some low-risk suspects that don’t need to be there are held in Texas jails at taxpayer expense simply because they can’t afford to bond out,” he said. Dallas County Commissioner John Wiley Price also pointed to the county’s efforts to reform its bail system, touting a decrease in the county jail population. As of December, there were about 5,000 inmates in the jail, which has a capacity for about 8,700, according to the Texas Commission on Jail Standards. You can see a copy of the complaint here. There are differences between the Dallas and Houston cases – the Dallas one involves felons as well as misdemeanants, and as noted their jail population had already declined by a significant amount. And, not to make too fine a point of it, Dallas County is ruled by Democrats, not Republicans. I would hope that means they’ll be much more amenable to finding a settlement rather than draw this out. (As this story reminds us, the Harris County case hasn’t even been heard yet – Judge Rosenthal’s ruling was an injunction, not on the merits.) We’ll see what happens. The ACLU’s statement on the suit is beneath the fold. Amid a stream of pointed questions from the bench, lawyers for Harris County Tuesday asked panel of the 5th U.S. Circuit Court of Appeals to toss a lower court ruling that the county’s criminal justice system violated the constitution by holding poor defendants on low level offenses simply because they could not afford bail. The arguments challenge an April ruling by Chief U.S. District Judge Lee H. Rosenthal in Houston that the county’s bail system violated due process and equal protection by discriminating against poor misdemeanor defendants, when people with the money to could await trial at home. A trio of appellate judges heard 30 minutes of oral arguments from the county, which has spent $4.2 million combating the lawsuit, and another 30 minutes from lawyers for a group of indigent defendants who languished in jail for days because they couldn’t afford to post bail. [Judge Catharina] Haynes commanded the questioning throughout the morning, including when Chuck Cooper, a seasoned appellate lawyer who heads the Washington, D.C. law firm Cooper & Kirk, argued for the county that the bail hearings were not perfunctory. To Alec Karakatsanis, director of the Civil Rights Corps in D.C, who represents the indigent defendants who sued the county, Haynes repeatedly asked about why the defendants needed to be released from jail by the 24-hour mark. Haynes also asked what’s the value of the affidavit inmates sign to swear they can’t afford bail. “What if they’re lying on this affidavit–I don’t know, if they’re a millionaire or something?” she queried. Karakatsanis said they could face further prosecution for contempt if they misrepresented their means. See here and here for some background, and here for a Chron preview; I’ve been following this for awhile so if you’re a regular reader this should mostly be familiar. The Trib adds some details. The judges repeatedly peppered Cooper with questions about the county’s probable cause hearings, in which judicial officials called hearing officers hear the charges against a defendant, evaluate reports from pretrial interviews and occasionally alter bail. The plaintiffs have argued that defendants are not allowed to speak at these hearings, which Haynes and Prado jumped on. “They’re called hearing officers. Is there a hearing or do they just look at the form and make a decision?” [Judge Edward] Prado asked. In his argument, Cooper cited multiple county reform efforts that have taken place since the court order took effect in June. In July, the county began using a new risk assessment tool to better recommend to judicial officers setting bail when low-risk offenders should be released on personal bonds. He said, though no data has been recorded in the court, that release on personal bonds has increased. Haynes questioned whether it was worth sending the case back to the lower court to find new facts since the reforms have taken place. Karakatsanis argued the new facts are unknown, and that there is nothing in the court record to corroborate Cooper’s statements. County Judge Darrell Jordan, the only Harris County judge who rejected money bail for indigent defendants before the ruling, was at the arguments and said afterward that he wished there was an opportunity to talk about the system under the changes. Overall, he said, the process hasn’t changed. It is unknown when the judges will make a decision whether to uphold Rosenthal’s ruling, overturn it or send it back to the lower court. But after the ruling, Karakatsanis said he was optimistic the court will stand by Rosenthal’s injunction. All three judges were Bush appointees, by the way, one by 41 (as was trial judge Rosenthal) and two by 43. My layman’s reading of this is that the judges were far more skeptical of the county than of the plaintiffs, but they clearly found the 24-hour requirement to have a hearing or release a defendant questionable. If they want to modify that it’s probably not a big deal, but beyond that I hope they uphold the ruling. They’ll issue their opinion when they’re damn good and ready. Harris County officials on Tuesday touted their revamped strategy for deciding whether tens-of-thousands of individuals should be jailed before their criminal trials, a process that critics and a federal judge say disproportionately affects the poor who are unable to come up with the money to make bail. On July 29, the county plans to implement the “public safety assessment,” to grade individuals arrested in Harris County each year on their risk of re-offending, committing a violent crime or failing to show up for court. The tool is intended to recommend to judges and hearing officers that low-risk individuals – both felony and misdemeanor – be let out of jail on personal bonds. Higher-risk individuals would be required to post bail according to an established bail schedule, as well as face additional supervision such as round-the-clock monitoring or regular check-ins with probation officers. “This is the biggest change in criminal justice reform that Harris County has ever seen,” said Kelvin Banks, the county’s director of pretrial services. The system imposes a fee schedule ranging from $500 to $5,000 for misdemeanors and recommends up-front payment from most people. Elizabeth Rossi, an attorney with Civil Rights Corps, said the risk assessment does not eliminate the use of a bail schedule, and despite its goal, will continue to ensure that those without means will be routinely jailed. “It doesn’t solve the constitutional problem,” Rossi said. See here and here for some background. I hope this helps, but it doesn’t sound like it moves us closer to a resolution. Maybe it will at least keep a few people out of jail who don’t need to be there. In the meantime, we wait for the appeals process to play out. Texas Attorney General Ken Paxton and the top lawyers in five other states are backing Harris County in its protracted battle over money bail for poor low-level defendants, as the tally of those released on no-cash bail nears 1,000. 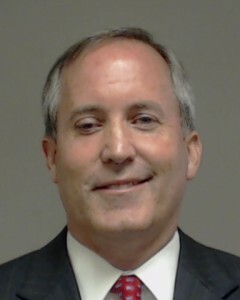 Paxton and the lead attorneys in Arizona, Hawaii, Kansas, Louisiana and Nebraska filed a joint brief late Monday supporting the county’s appeal of a federal court order that took effect three weeks ago eliminating cash bail for indigent misdemeanor defendants. At a tense Harris County Commissioners Court meeting on Tuesday, officials provided the clearest picture yet of the people released from impact of Rosenthal’s ruling. Nearly 980 people have been released by the sheriff under Rosenthal’s ruling as from June 6 through Friday, according to county’s office of budget management. Of those, 40 people who were released on personal bonds had been arrested again by Friday and charged with new crimes, a rate of about 3 percent. In the group of people who were able to afford cash bond — either through a bail bondsman or by posting cash — during the same time period, only about 1 percent had been re-arrested, county officials said. The county’s arguments were countered in a lengthy hearing before Rosenthal that led to her order. Paul Heaton, academic director of the University of Pennsylvania Law School’s Quattrone Center for the Fair Administration of Justice and co-author of a study on Harris County’s criminal justice system, said the brief rehashes old arguments. Alec Karakatsanis, director of Civil Rights Corps, who represents ODonnell and the others who couldn’t afford bail, said Monday’s filing by the states’ attorneys echoed that stance. “The amicus brief is a repeat of bail industry talking points that are entirely untethered to law and to fact,” he said. I couldn’t find a copy of the Paxton brief, so you’ll have to rely on the story for what we know. Hard to know what else to make of this, or if the amicus brief will have any effect. Some days I wonder what it would be like to have an Attorney General who fights on the right side of an issue, any issue. Must be nice. I get the concern, but the alternative was unacceptable and now is illegal. Get used to it. More than 600 people charged with misdemeanors have been released since June 7 when the U.S. Supreme Court rejected an emergency motion by the county to block [federal judge Lee Rosenthal’s] order, according to estimates provided to the county attorney’s office from criminal court officials. Other court members expressed similar concerns about people being released on personal recognizance. Precinct 4 Commissioner Jack Cagle and Precinct 3 Commissioner Steve Radack said Rosenthal’s ruling makes it easy for criminals to game the system by swearing they do not have enough money to pay bail – even if they do – just to get out of jail. A 193-page opinion accompanying Rosenthal’s order outlined research that showed personal bonds in other jursidictions were no less effective at getting people to show up for their trials, nor did they significantly lead to additional offenses by those released. In fact, Rosenthal wrote, research shows pretrial detention increases the likelihood that people will commit future crimes. Her order states that judges still have other tools – such as breathalyzers or GPS monitoring – to address the risk of releasees committing new offenses. Precinct 1 Commissioner Rodney Ellis has been the lone member of Commissioners Court who has agreed that the county’s bail system is unconstitutional. He repeatedly has advocated settling the case. He said Tuesday that under the current bail system, people who can afford to make bail can pay, get out, and re-offend, meaning that using high bail to detain individuals disproportionately affects the poor. Commissioner Ellis has it exactly right. Maybe if the county would get its act together and compile some data then some other members of Commissioners would feel less need to fearmonger. The point is that all along, we let anyone go who could pay whatever bond was set, without worrying about whether or not they might re-offend. A system that takes into account risk rather than ability to pay will do more to reduce this kind of crime than anything else. Fortunately, that’s what the county will have to do now. That’s all there is to it. Let this please be the end of the line. U.S. Supreme Court Justice Clarence Thomas has denied Harris County’s request to stop the release of misdemeanor inmates who can’t afford to post cash bail. The county had appealed late Tuesday to halt Chief U.S. District Judge Lee H. Rosenthal’s directive that it begin releasing some inmates accused of misdemeanor crimes who cannot afford bail. That order had gone into effect Tuesday, and continued Wednesday, while Thomas considered the county’s application. Thomas’s denial means some inmates will continue to be released on personal recognizance ahead of their trials if they cannot afford bail. The county still has the option to ask another justice or the full Supreme Court to reconsider Thomas’s denial. Often follow-up requests to other justices are referred to the full court, according to the public information office for the Supreme Court. Meanwhile, an appeals court is also considering the county’s appeal of Rosenthal’s full order. See here for the background. The full Chron story has more details. Chief U.S. District Judge Lee Rosenthal in Houston issued a 193-page ruling in April that the county’s bail system was unconstitutional and ordered the release of indigent misdemeanor defendants using personal bonds. The 5th U.S. Circuit Court of Appeals on Tuesday morning rejected the county’s efforts to halt Rosenthal’s injunction while they challenged the full ruling in court. The county filed the same day for emergency consideration before the U.S. Supreme Court. The latest legal blow left county officials weighing their options and refocusing efforts on challenging the larger order from Rosenthal, said First Assistant County Attorney Robert Soard. The county still has the option to ask another justice or the full Supreme Court to reconsider Thomas’ ruling. Follow-up requests to other justices often are referred to the full court, according to the high court’s public information office. 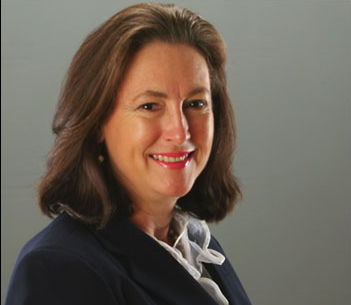 Harris County District Attorney Kim Ogg – whose office has already begun supporting personal bonds for misdemeanors – praised the court’s decision. Precinct 3 County Commissioner Steve Radack said the county wants a chance to complete its reforms without federal intervention. The bail bond industry has also opposed the order, which will release thousands of potential clients without requiring them to post bond. Veteran bondsman Carlos Manzano, of Americas Bail Bonds, said he and many of his colleagues believe the overuse of personal bonds will create a dangerous situation for the community. Legal experts said the county has just about used up all its options in challenging Rosenthal’s order. “There’s no question that Justice Thomas has concluded that there isn’t clear and obvious irreparable harm to the state if the stay isn’t granted,” said Lonny Hoffman, a professor at the University of Houston Law Center who specializes in federal procedure. Sarah R. Guidry, executive director of the Earl Carl Institute for Legal and Social Policy at the Thurgood Marshall School of Law at Texas Southern University, said Thomas’ rejection of the county’s appeal will force local changes. You know where I stand on this, so you know what I think of those BS fearmongering arguments from Steve Radack and the bail bond people. But hey, if I’m wrong then we’ll find out, because the county now has no choice but to comply. And when we find out that they’re the ones that are wrong and that nothing too bad happens, then what exactly will be the point of continuing to appeal? Settle now and save whatever dignity and lawyers’ fees we still can. It’s the only rational option. Lisa Falkenberg has more. Harris County took the fight over its controversial bail system to the U.S. Supreme Court on Tuesday, even as county officials scrambled to plan the imminent release of dozens of misdemeanor defendants held behind bars who cannot afford to post cash bail. A federal appeals court ruling earlier Tuesday had greenlighted the release of hundreds of poor inmates held in the Harris County Jail on misdemeanor charges ahead of their trials, and Sheriff Ed Gonzalez prepared for the release of as many as 177 people starting Wednesday morning. But in an emergency filing late Tuesday with the nation’s highest court, Harris County asked for another halt to the ruling by Chief U.S. District Judge Lee H. Rosenthal. The county’s request went to Supreme Court Justice Clarence Thomas, who handles appeals requests from the 5th U.S. Circuit Court of Appeals. Thomas can either rule on the matter himself or take it to the full court, according to the county attorney’s office. “In the absence of a stay, the district court’s order that Harris County — the third-largest jurisdiction in the nation — immediately release without sufficient surety untold numbers of potentially dangerous arrestees is certain to cause irreparable harm,” the county’s appeal states. The appeal to the Supreme Court came at the end of a whirlwind day for the county in a closely watched case targeting a bail system in which poor people accused of low-level misdemeanors frequently are kept in jail because they can’t afford to post cash bail while awaiting trial. On Tuesday morning, a three-judge panel from the 5th Circuit Court determined that Rosenthal’s ruling would remain in effect until the case goes to trial. The ruling set in motion the release of up to 177 misdemeanor detainees, who do not have money to pay cash bail and who do not have other restrictions such as mental health evaluations or federal detainers. The inmates affected by the ruling account for about 2 percent of the total jail population of 8,800, sheriff’s officials said. The county will comply with Rosenthal’s order until the U.S. Supreme Court weighs in. The sheriff’s office expected to begin releasing qualified inmates early Wednesday. See here for the background. I’m a little short on time, but you know where I stand on this. I’m rooting for Justice Thomas to decline to take up the county’s appeal, and I look forward to the county having to comply with the order. Maybe then we can finally bring this matter to a close. A statement from the Texas Organizing Project is beneath the fold. Very late in the day on Friday. A federal appeals court granted Harris County a last-minute reprieve Friday in a contentious civil rights lawsuit, calling a temporary halt to a judge’s order that would have altered the way cash bail is handled for hundreds of people jailed on misdemeanor charges. In an order posted after the courthouse closed Friday, the 5th U.S. Circuit Court of Appeals granted the request of the county’s teams of lawyers to stop the order – set to take effect Monday – until the appeals court can further review the matter. First Assistant County Attorney Robert Soard said the ruling will give the court time to fully consider the issues. Neal Manne, who is among the lawyers representing the inmates, said he respects the temporary ruling. “We have great confidence that Judge Rosenthal’s decision and injunction will eventually be upheld,” he said. Criminal Court at Law Judge Darrell Jordan – who was the only judge who did not want to appeal the decision – was disappointed with the appeals court decision. As you know, I agree entirely with that sentiment. I had also drafted and prepared a longer post on Friday on the assumption that the Fifth Circuit would not halt Judge Rosenthal’s order. I saw this story before I went to bed and took this post off the schedule for yesterday, swearing under my breath about the late change. In the interest of not throwing away what I had already written, I’ve got that post beneath the fold. This is what I would have run if the Fifth Circuit hadn’t intervened. I have faith that once they do have a hearing they will reverse themselves, but until then we wait. Harris County has appealed a federal civil rights lawsuit that challenged the county’s bail system, despite rising legal costs that have neared $3 million. 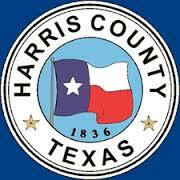 After a heated discussion and a closed-door meeting Tuesday, Harris County Commissioners Court voted 4-1 to appeal the suit and to ask for a delay to a May 15 start date that would require the county to consider an inmate’s ability to pay when setting bail. The stay was filed after the meeting and Chief U.S. District Judge Lee H. Rosenthal promptly issued an order giving all parties until 5 p.m. Wednesday to respond to the defendants’ request for a stay. Elizabeth Rossi, an attorney from Civil Rights Corps, who represents indigent defendants held in jail because they cannot afford their bail rates said her clients “are disappointed to learn that the county and the judges are appealing Chief Judge Rosenthal’s thorough and comprehensive decision but we are confident that every judge to review it will agree with her and uphold it.” Rossi said her team would “vigorously” oppose a motion for a stay. County leaders also urged their legal representatives to continue trying to settle the lawsuit, which had led to an order from Rosenthal declaring the county’s system unconstitutional. “We believe the system she wants to implement is arguably not legal,” County Attorney Vince Ryan said. Precinct 1 Commissioner Rodney Ellis, who has pushed for settlement, cast the the lone vote against the decision to appeal. “This is really asking the court to give you the funds to appeal,” he said. I’m angry about this. It is a huge waste of time and money in pursuit of an unjust resolution. Everyone who supports this needs to be voted out. I don’t know what else to say. That’s the key question for the county in the bail lawsuit. As legal costs mount, surpassing $200,000 per month, pressure is building for Harris County officials to settle a lawsuit over the county’s cash bail system that a federal judge has ruled unconstitutional. Newly available documents reveal that teams of defense lawyers are racking up massive ongoing expenses, including one lawyer on retainer since June at $610 per hour and a Washington, D.C. appellate lawyer on board since mid-April at $550 per hour. Among the two dozen county officials named as defendants in the civil suit, one is fed up. A settlement offer remains on the table from lawyers representing poor people stuck in jail for misdemeanor offenses because they could not afford cash bail. But none of the other defendants in the suit has budged, according to attorney Neal Manne, whose firm donated its services in filing the suit with two civil rights organizations. First Assistant County Attorney Robert Soard said Friday he anticipates his office will have a recommendation for the Commissioners Court meeting Tuesday morning. Discussion of the case is included on the Commissioners Court agenda, with possible action to follow. As of Friday, however, the county has been billed about $2.85 million by outside counsel – a cost the county attorney’s office says is not out of line given the number of defendants and a local criminal justice system that is one of the largest in the nation. On Friday, Criminal Court at Law Judge Jordan hand-delivered a letter to County Judge Ed Emmett asking that he be allowed to settle the case immediately. Emmett spokesman Joe Stinebaker explained the office’s response to Jordan’s letter. “Judge Emmett has no authority whatsoever to allow or prevent any of the defendants in this suit from taking any action they deem appropriate,” he said. The formalities were of little importance to Jordan, who said it seems obvious the county should settle, given Rosenthal’s comments that the indigent defendants are likely to prevail at trial. It’s true that Judge Emmett doesn’t have the authority to make a settlement happen. So let’s be clear about who can make it happen: The County Court judges who are the defendants in the case and who (other than Judge Darrell Jordan, the lone Democrat among them) have insisted on continuing to fight, and County Commissioners Jack Morman, Steve Radack, and Jack Cagle, who have the authority to tell the judges that they will not pay for any further litigation. They have the opportunity to express that opinion on Tuesday. If they do not – if they vote to continue paying millions of dollars to outside counsel in pursuit of a losing and unjust cause – then we know whose responsibility this is. Why won’t the county settle the damn bail lawsuit? Lisa Falkenberg asks the same question I’ve been asking. Now that Chief U.S. District Judge Lee Rosenthal – it should be noted, a Republican appointee — levelled her devastating assessment of Harris County’s rigid bail system a few days ago, ordering county officials to cease practices that violate misdemeanor defendants’ rights to due process and equal protection, you’d think the elected officials who hold the purse strings would admit the futility of fighting the lawsuit and stop funding this exercise in fiscal irresponsibility. So, why doesn’t the county just settle the lawsuit, and put the money it is spending on lawyers to better use? I got a surprising answer when I raised that question with the office of Ed Emmett, the county’s chief executive. “We have consistently been told by the county attorney’s office that the other side does not want to settle,” Emmett said. The county attorney is Vince Ryan, whose office represents county officials in legal matters. The “other side” is the plaintiffs: two civil rights groups –Texas Fair Defense Project and Civil Rights Corps – and local law firm Susman Godfrey. OK. But why would the civil rights groups and a law firm working pro bono to improve the system refuse to settle? Could that be true? Thoroughly confused, I reached out to the county attorney’s office. First Assistant County Attorney Robert Soard promptly responded. I asked him if his office had really been recommending to Emmett and other commissioners not to settle because the other side wasn’t interested. “I guess I can’t comment on that because you’re getting into settlement talks and we’re not allowed to talk about that,” he said. Well, yes. But failure to agree to specific terms of a settlement is very different from refusing to settle at all. I told Soard about Karakatsanis’ offer to settle if the county would just abide by Rosenthal’s ruling. At this point, it could save the county millions in legal fees. “If they make an honest promise and put it in writing we’ll certainly look at it,” Soard said. He noted that although his office can recommend a settlement, it can’t mandate one; all the county officials named as defendants would have to agree. You know where I stand on this. Like Falkenberg, I’m not sure who’s blowing smoke here. The one thing I would push back on is the notion that Commissioners Court merely approves or denies the requests to fund the county’s defense. Our commissioners are a lot more invested in this case than that, and as we have clearly seen, at least two of them (Radack and Cagle) don’t appear to be willing to give up the fight. I would want to know more about what the Commissioners – other than Rodney Ellis, who has been quite vocal about not supporting any more expenditures on the lawsuit – ave been saying and doing. They themselves may not be the clients in this lawsuit, but they sure do wield some influence. A new settlement offer is on the table in the high-stakes federal lawsuit over Harris County’s bail system in the face of a judge’s ruling that poor people are wrongly kept behind bars because they can’t post cash bail. The offer comes less than 24 hours after County Judge Ed Emmett told the Chronicle that he’d been informed repeatedly by the county attorney’s office that the lawsuit couldn’t be settled because attorneys for the inmates were unwilling to reach a deal. The comments brought an immediate offer to the county from a lawyer representing misdemeanor suspects: Agree to the terms outlined by Chief U.S. District Judge Lee H. Rosenthal and the lawsuit can be resolved. “If they’re willing to settle today, we’re happy to settle, and they could stop spending taxpayer money defending a hopeless cause,” attorney Neal Manne, a managing partner at Susman Godfrey, said Wednesday. Manne said the settlement offer is just the latest attempt to reach an agreement out of court. He said he submitted the first settlement offer at the county’s request on June 1, which led to two days of mediation in August. After that, the two sides exchanged multiple drafts of proposals, with the final one early this year before the injunction hearing was initially set to begin in February. First Assistant County Attorney Robert Soard said Wednesday that settlement discussions had been ongoing prior to the injunction hearing in March and that he was not opposed to further talks since the judge’s ruling. Well OK then. Unless the county believes the judge’s terms are not reasonable, then the framework for a settlement is right there. What’s it going to be, fellas? I can think of one, if they need some help. With just two weeks until the 193-page order from Chief U.S. District Judge Lee H. Rosenthal kicks in May 15, county officials are working to draft a plan to deal with the hundreds of misdemeanor offenders now behind bars and the new cases filed each day. County officials and more than a dozen lawyers spent Monday in meetings deciding whether to appeal the order, said Robert Soard, first assistant at the Harris County Attorney’s Office. He said he anticipates the legal team will have a recommendation about whether to appeal before the next Commissioners Court session May 9. Jason Spencer, spokesman for Sheriff Ed Gonzalez, said the changes will require collaboration among multiple agencies to comply with the ruling so quickly. Paula Goodhart, administrative judge for the misdemeanor courts, was also among those in the meetings. “Like everyone else, we’re still trying to process it,” Goodhart said. Goodhart declined to answer questions specific to the lawsuit, because she is one of the defendants. Instead, she spoke about changes that have been in the works for the past two years to reform the county bail system. On any given day, between 350 and 500 people-about 5.5 percent-of the jail population are awaiting trial on misdemeanors. But about 50,000 people are arrested in Harris County on misdemeanors each year, so the number of people who would not have to pay a bondsman or plead guilty to get out of jail could be in the tens of thousands. County budget officer Bill Jackson said his office is working to understand how many people may be released by the judge’s order and how much that could reduce the cost of incarceration at the overcrowded jail. See here for the background. I can’t help with the what-ifs and the variables, but I can give them one solid piece of advice: Don’t appeal. Save your money on the high-priced lawyers and start implementing what the judge ordered. The county will save a bunch of money by not having so many people in jail, and with that there will be fewer deaths, fewer rapes, fewer allegations of brutality against the guards, and so on. There will also be a higher general level of justice in the county, with fewer people forced out of work and fewer people spending money they don’t have on bail bondsmen and court costs. Less cost, less death, more justice. Someone help me out here, what is it we have to think about here? Some officials, however, bristled Monday at the judge’s opinion,which was handed down late Friday. Precinct 4 Commissioner Jack Cagle said the ruling was an example of a federal judge changing Texas law. Precinct 3 Commissioner Steve Radack wondered whether the release of inmates could impact public safety. “Just because somebody has been charged with a Class B or A misdemeanor doesn’t mean that’s a person that’s a real nice person, that’s real trustworthy and hasn’t been involved in an active assault,” Radack said. Take your two-bit scare tactics and tell it to Judges Hecht and Keller, guys. And settle the damn lawsuit. A federal judge in Houston Friday issued a scathing denouncement of Harris County’s cash bail system, saying it is fundamentally unfair to detain indigent people arrested for low-level offenses simply because they can’t afford to pay bail. In a 193-page ruling released Friday, Chief U.S. District Judge Lee H. Rosenthal ordered the county to begin releasing indigent inmates May 15 while they await trial on misdemeanor offenses. Rosenthal concluded the county’s bail policy violates the due process and equal protection clauses of the Constitution. “Liberty is precious to Americans and any deprivation must be scrutinized,” the order states, citing a comment from Texas Supreme Court Chief Justice Nathan Hecht. The judge also granted “class-action” status to the case, meaning that her findings will apply to all misdemeanor defendants taken into custody. The ruling – a temporary injunction that will remain in place until the lawsuit is resolved pending appeal – will not apply to those charged with felonies, or those who are being detained on other charges or holds. First Assistant County Attorney Robert Soard said late Friday officials are reviewing the orders. “No decision has been made at this time concerning an appeal of the preliminary injunction,” he said. See here for the background, and here for a copy of the ruling. Grits highlights a key aspect of it. If Judge Rosenthal were Politfact columnist, she’d be giving the Hearing Officers a “Pants on Fire” rating. To the extent that appellate courts must rely on her credibility assessments, and on many topics, they must, those lines may well preclude quite a few appellate paths for the defendants. policymakers are apparently unaware of important facts about the bail-bond system in Harris County, yet they have devised and implemented bail practices and customs, having the force of policy, with no inquiry into whether the bail policy is a reasonable way to achieve the goals of assuring appearance at trial or law-abiding behavior before trial. In addition to the absence of any information about the relative performance of secured and unsecured conditions of release to achieve these goals, the policymakers have testified under oath that their policy would not change despite evidence showing that release on unsecured personal bonds or with no financial conditions is no less effective than release on secured money bail at achieving the goals of appearance at trial or avoidance of new criminal activity during pretrial release. That’s exactly right – they’re not going to change unless somebody makes them, and Judge Rosenthal clearly has decided she’s that somebody. I would note that all of those elected judges are Republicans (*), and they are all up for re-election next year, so there is another way to force a change here. In the meantime, I have to ask again, why are we even still fighting this? What principle are we defending? Why are we writing checks to fat cat Washington DC Republican lawyers to “advise” on whether or not to appeal? Stop the madness and stop wasting my tax dollars on this crap, and settle the damn lawsuit already. It’s the right thing to do on every level. District Attorney Kim Ogg wants to settle. Sheriff Ed Gonzalez wants to settle. Commissioner Rodney Ellis wants to settle. Everyone else needs to get in line. (*) The judges in question preside over the County Courts, where misdemeanors are heard. County Court Judge Darrell Jordan, who was elected in 2016 to fill a newly-created bench, is the lone Democrat. He also is the lone judge to favor settling. Harris County commissioners Tuesday voted to add high-profile, conservative litigator Charles Cooper to a growing team of attorneys defending the county and several public officials against a civil rights lawsuit alleging the county’s bail system unconstitutionally jails the poor. Cooper, a former clerk for U.S. Supreme Court Justice William Rehnquist and friend of U.S. Attorney General Jeff Sessions, would represent 15 out of 16 county criminal court of law judges in a potential appeal. No decision has been made yet in the case nor has it gone to trial. Parties are awaiting a ruling from Chief U.S. District Judge Lee Rosenthal to determine if the current bail system should be suspended before trial. When Rosenthal makes that ruling, either the plaintiffs or the county could appeal. The county already has paid approximately $2 million to two outside law firms in the case, money that reform advocates such as Precinct 1 Commissioner Rodney Ellis said could have been spent on actually implementing reforms being sought in the suit. Ellis, who has advocated to settle the lawsuit and has criticized the county’s bail system, cast the lone vote Tuesday against retaining Cooper. He questioned Cooper’s role in defending California’s ban against gay marriage before the U.S. Supreme Court. “He seems like the leading candidate that people go to if you want to fight civil rights,” Ellis said. See here and here for some background. I realize that we’re still waiting for a decision on whether to put an injunction on the county’s bail policies (which I think will be granted) in advance of the trial itself, but this has already taken a long time and cost a ton of money. Meanwhile, the county’s justification is that they’ve made reforms so there’s nothing for them to be sued about. If that’s truly the case, then it shouldn’t be that difficult to work out whatever differences do remain, and save a lot of time and trouble. Digging our heels in further makes no sense to me, and I question the judgment of everyone involved who insists on it. The Press has more. Let’s hash it all out. Tensions flared at Harris County Commissioners Court Tuesday after new Commissioner Rodney Ellis filed legal papers supporting civil rights groups in their high-profile federal lawsuit against the county and its bail system. In a rare public argument before dozens of onlookers at the meeting Tuesday, Ellis’ colleagues — all Republicans — took issue with his action, with some calling the move unprecedented and insinuating that the county attorney should consider whether Ellis could be excluded from private discussions about the lawsuit in the future. The exchange shows how the lawsuit has exposed new fissures in county government. Ellis, a former state senator, says he is making good on a promise to shake up the traditionally quiet, non-combative style of the governing board of the country’s third-largest county, with strategies he says have successfully helped him in a Republican-dominated state Legislature. After the meeting, Ellis defended his actions, saying he would be prepared to take legal action if he were excluded from executive sessions. Without the lawsuit, he said, the system would not have changed. “If it were not for politics and pressure, the administrators here in the county would still be administering for decades,” he said. Ellis’ brief offers to help Chief U.S. District Judge Lee H. Rosenthal assess the collateral impact that cash bail has for poor, mentally ill and homeless people and African-Americans — who are jailed at disproportionately greater rates and suffer extreme economic harms when they spend time behind bars. In addition, the brief says, lengthy jail time impacts their legal prospects and their health. It mentions the example of Sandra Bland, a black motorist arrested in Waller County after a traffic stop, who committed suicide after spending a weekend in jail on a bond she could not afford. The civil rights groups’ remedy for Harris County is “eminently feasible, cost-efficient, and narrowly-tailored,” and is consistent with the county’s ongoing aims to improve bail practices, the brief says. See here for the most recent update; we are still waiting for a ruling on an injunction. I get the concerns expressed by Commissioners Radack and Cagle and Judge Emmett. It is undoubtedly a weird place for Commissioners Court to be to not be all rowing in the same direction. Of course, the Sheriff and District Attorney are also in favor of settling the lawsuit and implementing the reforms the plaintiffs are seeking. It’s true that Harris County has been moving in the direction of some of these reforms and that some good has already been done, but it’s also true that the problems have been there for decades, and none of these reforms were put in place before the lawsuit was filed. Given the amount of money that has already been spent by the county defending against the lawsuit and the likelihood of losing, seeking to settle and get to the real work sooner rather than later sure seems like a viable strategy to me. What exactly is it the county is fighting for at this point? It’s up to the judge now. The call by two civil rights groups for an immediate fix to Harris County’s bail system is now in the hands of a federal judge after high-stakes arguments over whether poor people should remain in jail on misdemeanor offenses because they can’t afford to post bail. Key criminal justice leaders in the county – including the sheriff, district attorney, public defender, misdemeanor judges and hearing officers – have weighed in on a lawsuit filed last year challenging the local system as unconstitutional. Now Chief U.S. District Judge Lee H. Rosenthal will decide if the current bail system should be suspended temporarily until the lawsuit goes to trial, despite efforts already under way to alter the local system. The county’s bail schedule punishes “working poor” people like Maranda ODonnell, a single mother who filed the lawsuit after spending two days in jail for driving without a valid license, attorney Alec Karakatsanis said during closing arguments Thursday. The county’s lawyers argued changes already made to the system have brought an increase in defendants released on no-cash bonds. See here and here for some background. What’s at stake here is a preliminary injunction against the current system, with a full trial on the merits of the lawsuit to follow, if there is no settlement in the interim. I’m not sure what an injunction would look like in practice, but I’m sure Judge Rosenthal will have some ideas if she grants it. I get the sense that ruling will come sooner rather than later, but we’ll see. The Press has more. He says on the stand what he has been saying elsewhere. 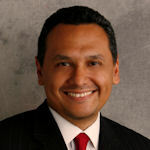 Harris County Sheriff Ed Gonzalez took the witness stand for an hour Wednesday afternoon in a closely watched federal civil rights case that is challenging whether it is constitutional to impose monetary bail on people arrested for minor offenses if they cannot afford to pay it. Gonzalez confirmed his opinion that the money bail system is arbitrary, unfair to poor defendants and undermines public safety. When an attorney representing Harris County judges asked him about the death rate at the jail being lower than outside the jail, the federal judge interrupted and asked if he was suggesting jail was a better place to be. The attorney, John O’Neill reframed the question. See here and here for some background. Sheriff Gonzalez was not the only elected official to take the stand. Harris County Criminal Court at Law Judge Darrell Jordan, on the bench since January, also testified Wednesday before Rosenthal about his experience as a defense attorney and now as judge who must make dozens of bail decisions each day. He has begun releasing misdemeanor defendants on personal bonds if they have no holds. If they have risk factors or holds he has a conversation to see what they can afford. Jordan said he’s seen in other courts that innocent defendants often plead guilty if they can’t make bail, just so they can get out and maintain their livelihoods. The county is in the process of reforming its system of assessing defendants’ flight risk and setting bail. In the meantime, plaintiffs are asking Rosenthal to impose a temporary injunction, making immediate fixes so that bail is made easier for nonviolent defendants. Rosenthal asked Jordan if he believed the county would stop running a system in which people plead guilty because they are poor without an injunction. I think the fact that we’re having a trial over this is pretty good evidence to that effect as well. I can’t wait to see what the defense’s case looks like. The Press has more. The first day in court for this lawsuit was Monday. Neal S. Manne, a managing partner at Susman Godfrey, told Chief U.S. District Judge Lee H. Rosenthal in his opening statement Monday that ODonnell and hundreds of other poor people charged with minor crimes do not get a fair chance to win pretrial release here if they can’t afford to pay a bondsman. He lauded the recent bail reforms the county has begun and those it plans to install, but he said none address the basic constitutional questions of equal protection under the law. The opening statements took on a question-and-answer format as Rosenthal peppered the lawyers with dozens of sharp questions and hypothetical arrest scenarios trying to get at the truth of how bail works here. “The defense believes there is a category of high-risk defendants that we simply can’t ignore,” she said, explaining that hearing judges weigh several factors in setting bail. Four other attorneys representing the judges, the sheriff and the county presented a preview of their arguments, interrupted by lively questioning from the judge. Plaintiffs are seeking an injunction against the county to force immediate changes in the bail process. There’s no monetary award being sought, just changes to the system. It’s not clear to me what the timeline is, so we’ll just have to follow along and see. In the meantime, as we know there have been some changes made that will address some of these issues, but there’s more that needs to be done. Grits for Breakfast quotes an email from UH law professor Sandra Guerra Thompson that begins with a discussion of two bail reform bills that have been filed in the Lege and then moves on to this lawsuit as a case in point. Ending Pretrial Punishment. If your loved one is arrested tomorrow in Texas, he or she will almost certainly be required to pay money to get out of jail. 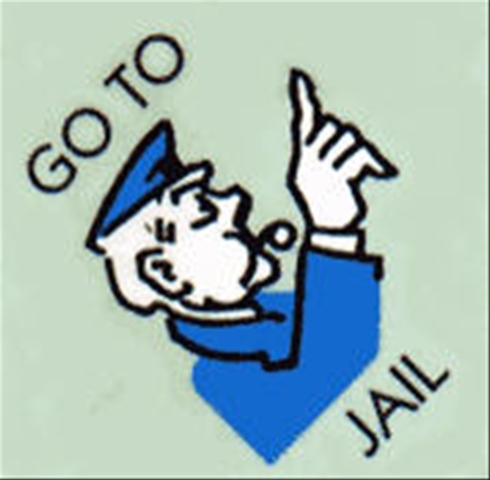 For most people who cannot pay the entire amount of the bail set, the only viable way to get out of jail is by making a non-refundable payment to a bondsman. This amounts to punishment, a fine, without proof of guilt. As someone who has paid bail money to get a cousin out of jail in Houston, I will tell you that it feels very much like pretrial punishment. The same troubled cousin was later arrested in Austin where judges have implemented a risk-based system, and he was released on a PR bond within a few hours. This use of PR bonds, based on a validated risk assessment, is what the bail bill would implement. The vast majority of people arrested are low-level, low-risk people who should be promptly released on PR bonds upon a finding that they are safe to be released. Rather than pay for a bail bond, they can use their money to pay for an attorney so the county doesn’t have to appoint one at taxpayer expense. Meanwhile, back at the ranch . 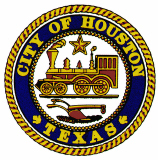 . . Houston officials defend the indefensible. Litigants have challenged the money bail system in Harris County, the state’s largest and deeply intransigent jurisdiction. The trial started today, March 6th. The litigation shake-up, combined with the election of reform-minded officials, has already brought some progress. Remarkably, the District Attorney Kim Ogg, following the lead of the Sheriff Ed Gonzalez, recently filed an amicus brief siding with the plaintiffs who are suing the county’s misdemeanor judges (see attached brief). So far, the county refuses to budge from its stance supporting the use of money bail, even though the system has been shown to be arbitrary, wasteful, cruel, and dangerous. The county’s lawyers went so far as to make the ludicrous statement that some people are in jail because they prefer to be there! Holding tight to the Bail Schedule. To deflect the criticisms, Harris County officials have agreed to do everything short of getting rid of the bail schedule. Last month, they touted the implementation of the Arnold Foundation risk assessment instrument, which would be important if the judges were actually planning to make decisions based on risk assessments rather than simply following bail schedules. They have no plans to do away with money bail, and that is why the county has been unable to settle the lawsuit. To its credit, the county has started several programs to reduce the number of people in jail: the District Attorney’s policy to“legalize” of small amounts of pot, a “reintegration court” to get minor offenders out of the jail quickly, and very modest efforts to get the seriously mentally ill out of the jail and into treatment facilities. All of these programs are welcome and long-overdue, but they are not bail reform. And that is what this lawsuit is about, for Harris County. For the state of Texas, that action is in the Legislature, and you should click over to Grits to learn more. I’ll be keeping an eye on the trial. District Attorney Kim Ogg on Friday filed a brief supporting bail reform in the lawsuit brought against Harris County’s misdemeanor judges to change the bail system. The civil rights lawsuit, filed in federal court, is expected to begin a three-day hearing on Monday about whether the judge should issue an injunction. Ogg, whose office is not a party to the litigation, filed a four-page amicus brief saying bail reform is necessary and long overdue. Ogg said the issue is whether defendants charged with minor offenses are being held in the Harris County jail solely because of their inability to pay bondsmen’s fees, not because of legitimate concerns about their willingness to appear in court. Tom Berg, Ogg’s First Assistant, said the office is not “taking sides” but just explaining that they want to see change. “These are major changes that we believe are long overdue,” he said. Berg noted that the office is also supporting county-funded defense attorneys at magistrate courts that run 24 hours a day with a prosecutor and a judge but no lawyer at that initial appearance. That issue has run into hurdles because of several issues but mostly because of the cost of staffing the initiative. Ogg joins Sheriff Ed Gonzalez, whose office is party to the lawsuit, in siding with the reformers. I presume an amicus brief coming from the District Attorney in this matter would carry some weight. The next round of hearings begins today, so we should know soon enough what the effect of Ogg’s intervention will be. Harris County has been sued in federal court for the third time in less than a year for yet another issue related to the county’s tough arrest and pretrial detention practices. This time, civil rights advocates allege that county officials routinely charge and jail thousands of people each month without a warrant and without ever requiring police officers to supply sworn statements taken under oath that adequately describe the crimes for which the defendants stand accused, according to a lawsuit filed Wednesday in the Southern District of Texas. The plaintiffs are a pair of non-violent offenders arrested and jailed over the Christmas holidays. Lucas Lomas was arrested Christmas Eve for allegedly pilfering “five DVDs and a speaker,” according to a document prepared by a prosecutor and co-signed by an officer. The filing provides no details about how the arresting officer determined Lomas had stolen the items. After a video hearing that is typical in Harris County, a hearing officer found probable cause. Lomas was released after posting $15,000 bail. Carlos Eaglin was arrested Dec. 26 for alleged possession of less than 2 ounces of marijuana. Court papers co-signed by an officer and prosecutor accuse Eaglin of marijuana possession, but do not indicate a statement from the officer about how the substance was discovered or determined to be marijuana. After his video hearing, Eaglin was jailed on a $5,000 bond – the highest amount specified for any misdemeanor in Harris County’s so-called bond schedule. He remains in jail. The lawsuit seeks to compel the county to provide all arrestees with a more detailed statements of facts that are supported by an oath or information provided by a police officer that is consistent with both state and federal law. Those documents then could be reviewed by what the case describes as a neutral magistrate. You can see a copy of the complaint here. The other two lawsuits are about bail practices and detention time, with the city being the defendant in the latter case. I Am Not A Lawyer, but what the plaintiffs are asking for in this action sure seems like a reasonable thing to me. As with the other lawsuit, incoming DA Kim Ogg will have to decide how she wants to handle this.